Meanwhile, in small cup, combine orange juice, soy sauce, cornstarch and red pepper flakes; blend well. Set aside. Heat oil in large skillet or wok over high heat until hot. Add beef and garlic; cook and stir until beef is browned. 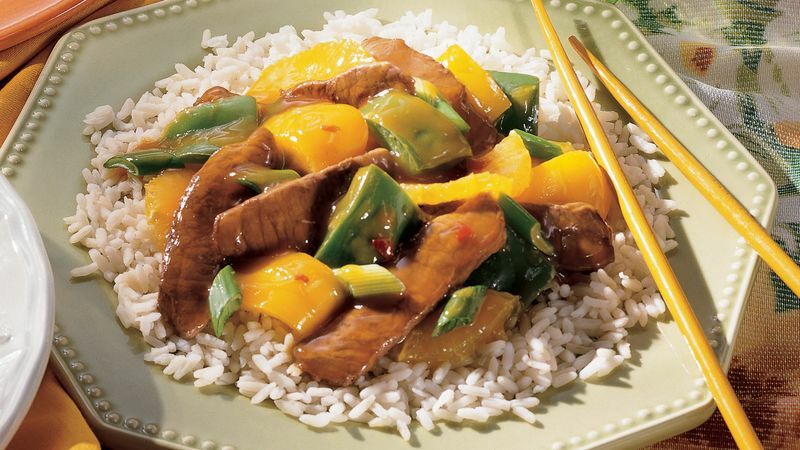 Add bell peppers; cook and stir until crisp-tender. Stir orange juice mixture into beef mixture. Bring to a boil. Cook until thickened, stirring occasionally. Stir in onions and orange; cook until thoroughly heated. Serve over rice.